Niko Alm's driving license photo. It has to be strangest piece of identification in Austria — if not the world. 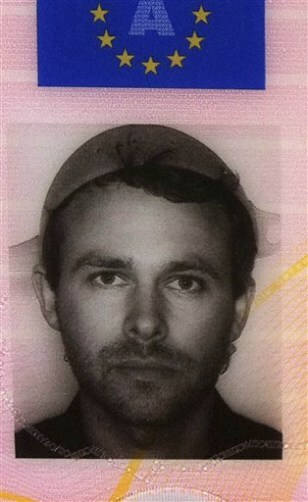 Alm's new drivers license shows him wearing a pasta strainer as headgear.